Discussion in 'Role Playing Games' started by ODB, Jun 10, 2017. I wonder if EA will change the structuring of the game concerning loot boxes since the storm that's going down at the moment about them. Looks a good game so far so hopefully if anything like that did happen it doesn't push the game back. From the studio that created Mass Effect and Dragon Age comes a new world full of mystery and danger, Anthem. It’s been a while since the unveiling, and now it’s back with a better look at the intriguing gameplay. 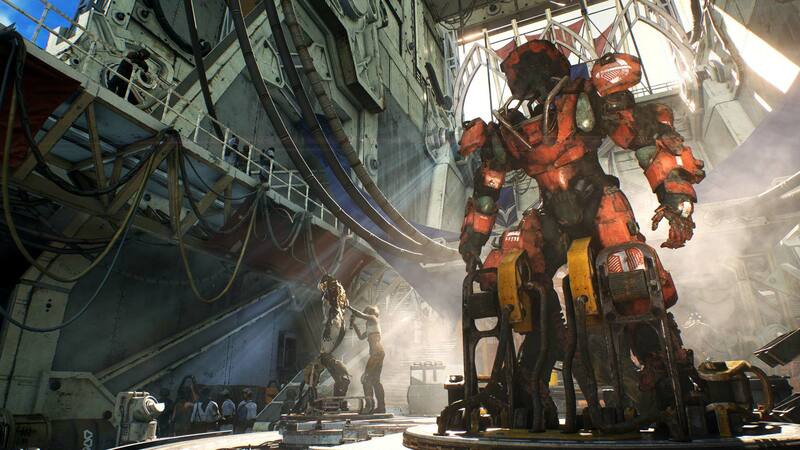 In Anthem, you and up to three teammates are Freelancers, donning powered exosuits called Javelins to take on the biggest threats to humanity. Javelin armour is designed to provide its pilot with incredible offensive and defensive capabilities. You’ll move at incredible speed, rocket across the skies, and safely roam watery depths, progressing both your own abilities as a Javelin pilot and the combat and traversal capabilities of your exosuits. There are four models of Javelin: the versatile Ranger, the heavy-hitting Colossus, the destructive Storm, and the lightning-fast Interceptor. While the suits all play differently, they still all dish out plenty of firepower. Players will be able to collect a full arsenal of exosuits, so they can match their play style to the mission, or to just how they happen to feel that day. Each Javelin is highly customisable, from your gear and weapon loadouts to the look of the Javelins themselves. All gear and weaponry will be unlocked through progression and the only microtransaction content will be cosmetic items. That means no pay-to-win and no loot boxes. The world itself will be shared across the entire Anthem community, Whether it’s night or day, whether there’s stormy or clear weather, every player in Anthem experiences it at the same time. The world will be changing as well, with the promise of new stories and missions being added after release along with the possibility of some world-shaking events. All of this is made possible because every game is hosted on dedicated servers. While the game is meant to be played as a group, you can play through the story on your own. BioWare has stressed that grouping up will be as painless and rewarding as possible, to incentivize even the hermits among us to find a squad to join. 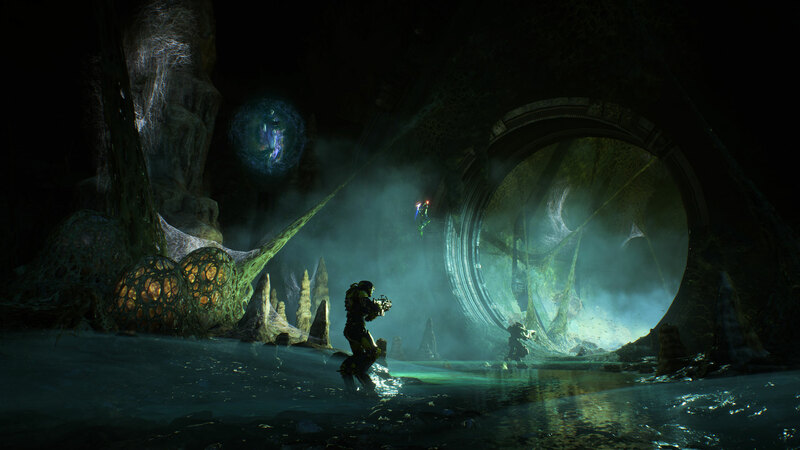 Anthem launches 22nd February 2019. You can pre-order now and get VIP access to pre-launch playable demos. Sounds like a blend of Destiny and Warframe so far which isnt a bad thing.